It's one of everyone's favorite days of the year: The day when George Will pulls a hamstring trying to come up with synonyms for "grass," "sunshine" and "purity." It's opening day! 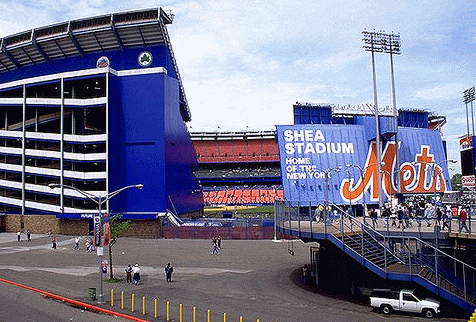 The first game of the day is at that baseball mecca Shea Stadium, with the Mets hosting the Washington Nationals. First pitch is in about 15 minutes, assuming the rain continues to stay away. Games are on all day, and though we don't quite have it in us to live-blog the ESPN feeds, expect plenty of updates all day, since we'll be watching. "Days Of Our Lives" is totally boring right now.